Peking University HSBC Business School strives to attract the most qualified candidates from around the world. We not only seek applicants with strong academic track records and applicable work experience, but also those who have demonstrated a passion for their field of study and who can articulate their interest in studying in China. In order to attract high-caliber candidates, PHBS offers a multitude of financing options for domestic and international students. Those interested in attending HSBC Business School will undoubtedly find a means of their educational experience here, either through the direct assistance of the school or through Chinese government grants. Each year, HSBC Business School selects recipients of school-funded scholarships from the pool of MBA and Master's program applicants. Recipients are selected based on a variety of factors, the most significant of which is the applicant's academic record. PHBS sets aside a large grant each year to be used exclusively for student scholarships, a portion of which is awarded to outstanding international applicants. 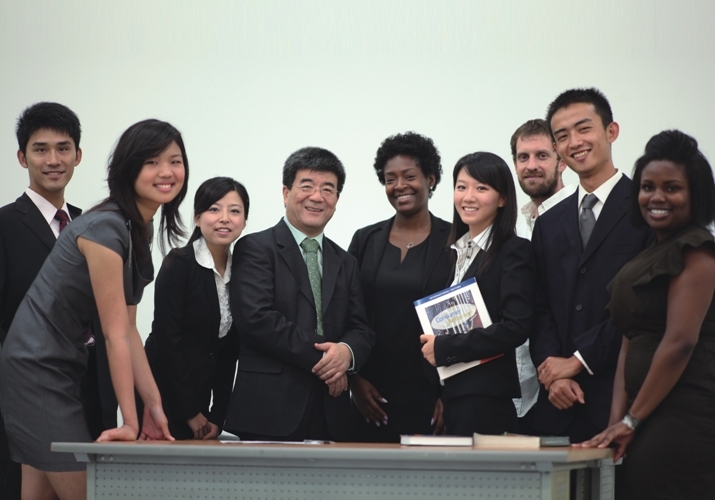 For international students there are two award levels for the MA program and 1 award level for the MBA program. Full tuition scholarship and half tuition scholarship for MA program and Half tuition scholarship for MBA program. At the end of each academic year, the status of these scholarships are evaluated based on student performance at PHBS. Most impressively, the school-sponsored scholarships are not contingent on Teaching Assistant or Research Assistant positions（For MA programs only). While Master's degree students are encouraged to participate in on-campus activities and employment, their involvement does not determine scholarship status. In this regard, HSBC Business School is exceptional in providing no-strings-attached funding for Master's candidates. To apply for this scholarship please download the application here. For those applicants who do not receive school-sponsored scholarships, the Chinese government offers grants to international applicants interested in pursuing higher education in China. Each year the China Scholarship Council (CSC) awards funding to hundreds of foreign students studying in China. While the CSC-funded scholarship will not fully cover the tuition cost at PHBS, the grant will go a long way towards easing the financial burden of relocating to China to study.